You are here: Home / "Use This NOT That!" / 4 Ways To Get Rid Of Bad Odors Naturally! When we want to get rid of bad odors, we immediately think: ‘Fragrance,’ don’t we? We think, ‘If I can cover this smell with a better one, I’ll be happy’. Did you know that you don’t have to just COVER UP bad smells, but that there are ways to ELIMINATE them? Norwex can help you GET RID of Bad Odors….Naturally! Fragrance isn’t an effective solution, because it only masks the odors temporarily. Sure, it smells good. But, scented air fresheners are considered toxic. Why? Because they can contain: carcinogens, volatile organic compounds, phthalates, and sometimes even chemicals that can trigger allergy and asthmas symptoms! I discuss this in a little more detail in a previous post here, so check it out if you want to find out more. FUN FACT: Phthalates are endocrine-dirupting chemicals that adversely affect development and reproductive systems. Okay. That fact was actually not-so-fun! Norwex offers mulitple options that are more effective and safer alternatives to traditional scented air fresheners. 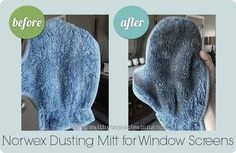 How-To Get Rid of Bad Odors Naturally, with Norwex! Rechargeable. That means that you don’t have to buy more baking soda, but simply recharge it by rinsing it under the water when odors return to your fridge, and it will begin absorbing odors again! Lasts for one year. However, many testify that it lasts them much longer! Compact and spill proof. It’s nice and little, so it doesn’t take up much space! Multi-purpose: you can use this in other places as well, such as near the litter box, garbage cans, cars, closets, gym lockers, and more! FUN FACT: Fridge So Fresh crystals contain positive ions that cause odor-saturated molecules to coagulate. Odor molecules are captured, br0ken apart and eliminated. Sometimes, customers receive these little bags and wonder where the smell is. We are so used to air freshners having a smell, that customers think they received a defective bag. However, these don’t NEED a smell! These contain 100% bamboo charcoal. These absorb unpleasant smells (and mold and mildew-causing moisture) and remove allergens without adding harmful chemicals to the air! FUN FACT: Norwex Air Freshener Bags last up to 2 years. To recharge them, simply place outside in the daylight every 1-3 months for at least an hour, flipping the bag over at least once. These bags come in two sizes. The 75 g bag is great in: fridge, freezer, drawers, gym bags, shoes, lockers and hampers. The 200g bag covers 90 square feet, so it’s great for closets, bathrooms, cars, beside the kitty litter, beside the diaper pail, and my personal favourite, the mud room (which is full of stinky shoes). FUN FACT : Bamboo charcoal has millions of tiny, porous holes through which it absorbs impurities and excess moisture. It’s been shown to reduce harmful chamicals emitted from paint, carpeting, chemical cleaners, and more! This product is an enzyme-based deodorant. The bacterial spores eat up the organic matter that is causing the odor – all without chemicals! This product has so many uses, and is one of my FAVOURITES! I don’t know how I lived without this stuff! It replaces your aerosol spray cans that you use to add fragrance to a stinky room or to eliminate bad smells in furniture or area rugs (they are so bad for your health!). Simply dilute the Norwex Odor Eliminator with water in a spray bottle, 1 part Odor Eliminator to 7 parts water. I love spraying this in the air in the bathroom after someone has used it. Spray it in your smelly garbage can. Your stinky shoes. It freshens your laundry – add a capful of it to your laundry water. I love refreshing my towels and sweaty clothes with it. 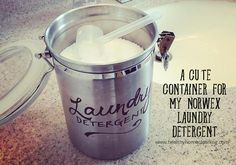 It’s also great for that load of laundry you forgot about and sat damp in the washing machine for one (or many) days that is super stinky now! This Norwex product does have a light scent, like baby powder, but it’s not too strong, so those sensitive to fragrance aren’t going to find it overwhelming. Last, but certainly not least, Norwex Sportzyme. This helps with the worst odors of all – the smelly sports equipment! This contains microbes and enzymes that break down and eliminate organic residues which cause doors in shoes, cleats, equipment bags, hockey gear, skates, helmets, etc. The microbes feed off food sources like sweat and urine. The microbes release enzymes that break down the organic matter into smaller particles, allowing the microbes to digest the organics and convert them into water and carbon dioxide. Isn’t that AMAZING!!!! Science is so cool! Seriously, who knew about the amazing stuff available to you, just waiting to digest things that smell! FUN FACT: Norwex Sportzyme eliminates cigarette smell from clothes, too! This product is SO easy to use too. Just spray Sportzyme on the offending item and walk away. I’m serious! So easy! Some items require a second application 48 hours afterwards. But that’s easy too! So, don’t just cover the odors in your home with possible toxins that only mask the smell. Remove the smells NATURALLY with Norwex! CONTACT me with any questions, or SHOP ONLINE to find your favorite Norwex products. Interested in joining us as an Independent Sales Consultant? Learn more HERE or sign up online and get started right away. Great ideas! My running cloths sit in the hamper in my closest until wash day. Air freshener bags are a perfect solution to keeping odors away without a fake chemical scent. I will be ordering a fridge so fresh. I usually keep baking soda in my fridge, but I don’t really like the look of the open box. This has a nice, sleek design. It lasts forever too, and I love how it makes things like garlic-infused italian food smells just disappear!